I Stabbed A Guy In The Heart! Posted on December 8, 2005 by Mark A. 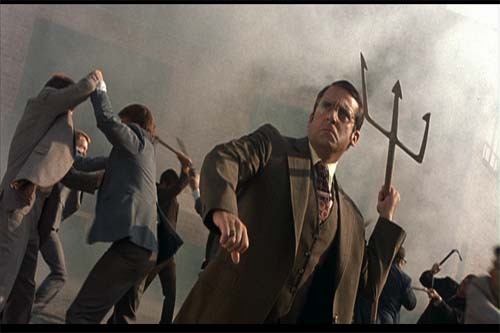 While watching Anchorman: The Legend of Ron Burgundy tonight on HBO I was suddenly struck with a moment of insight: Tridents are spectacularly comical, especially if someone dies from a trident-wound. For my money, tridents aren’t used in movies as much as they should be, and I think any movie would benefit by the addition of a few trident-deaths. 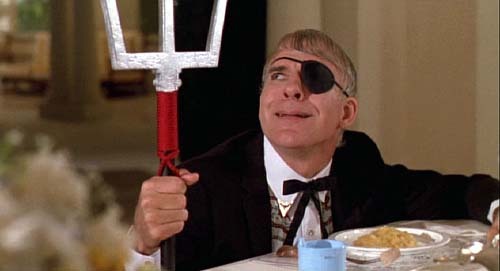 Anyway, that’s what I was thinking about”¦the comedic value of tridents. Hmmm, you know, I may need to get a hobby of some sort.